Wow. There is light, then there is “i can barely feel this in my hand” light… which the Baladéo G-Series Ultralight Knives feel like. 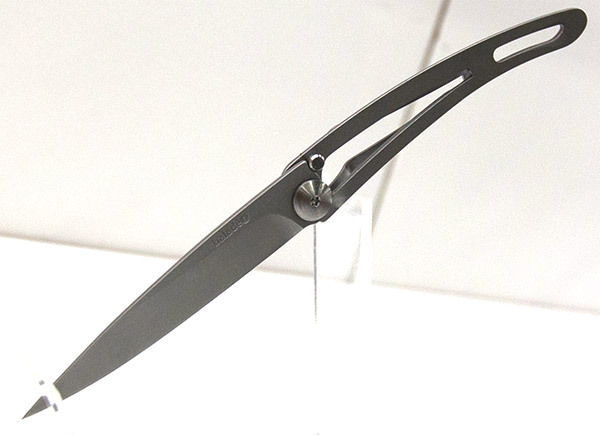 They are ridiculously thin, ultra-light, and seem more like an elegant letter opener from afar. I was (and still am) surprised at how solid and comfortable it feels in your hand! 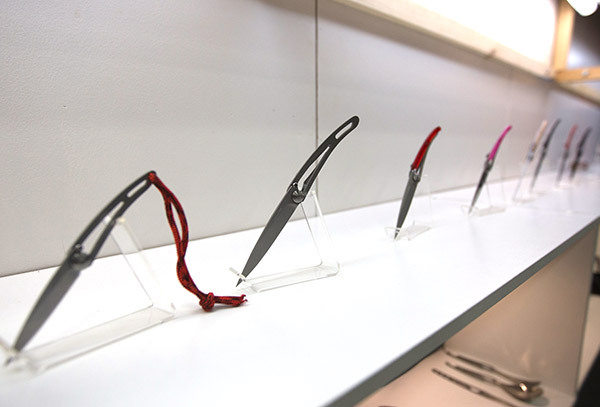 They pride themselves on combining “an excellent grip and the pleasure of the perfect cut.” They can be opened with one hand, have a “liner lock” which you depress to fold the blade down, and some even have a belt clip. It truly is incredible the weights they come in ~ the lightest weighs in at 15g, then there’s 22g, 27g, 34g, and 37g. 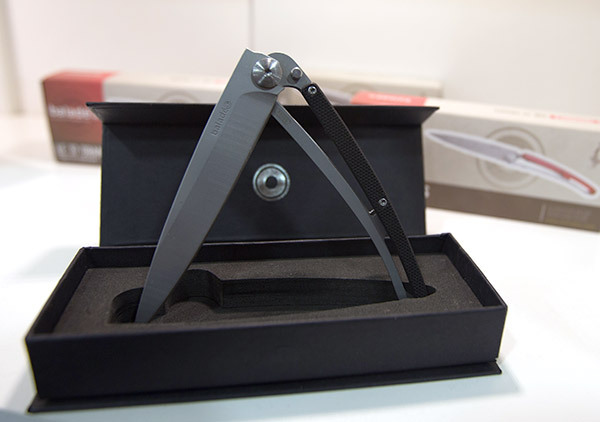 They are supposedly the “lightest pocket knives available on the market,” and when they launched in 2010 at the Outdoor Show in Friedrichshafen, Germany they received the Industry Award! (Now i’m so curious about heading to that show!) 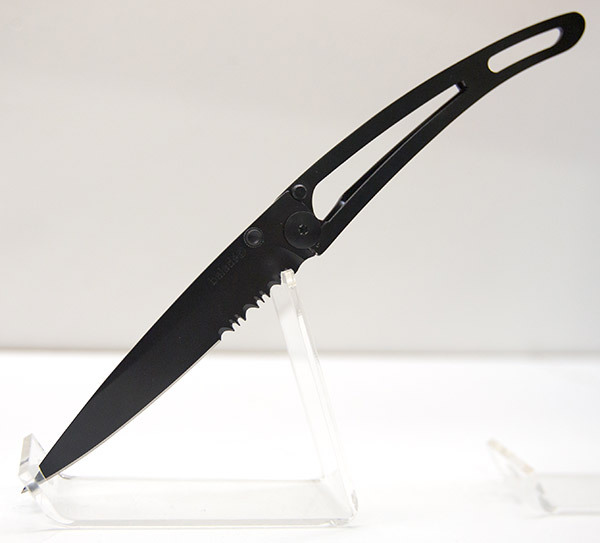 Honestly, though this was one of the earlier booths we visited at OR, it instantly had us lusting for one… take a look at the booth and knife details on the next page! p.s. Did you know a US quarter coin weighs 5.67g? 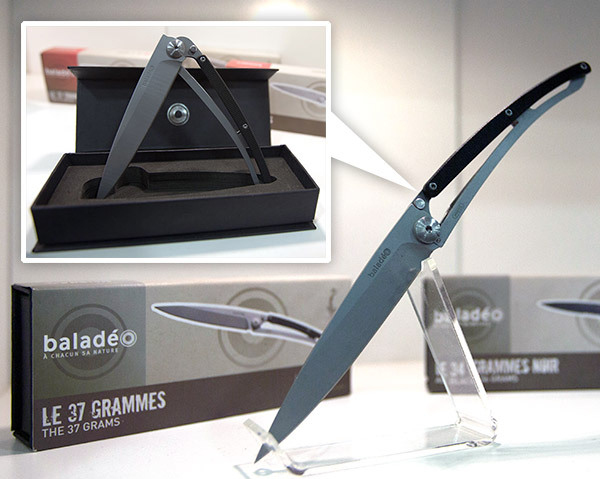 So the 22g knife weighs less than 4 quarters! I’m also amazed at how affordable it is! p.p.s. 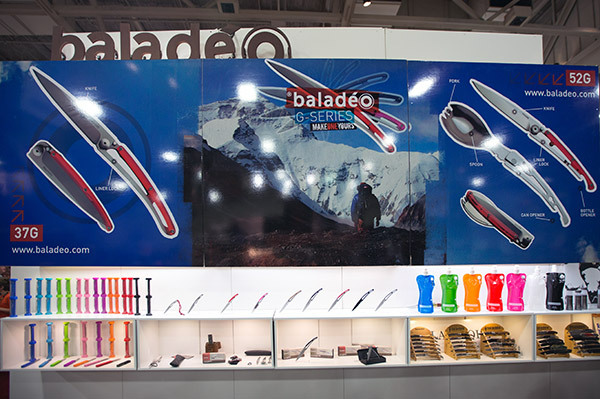 See more of our Outdoor Retailer Show adventures here! 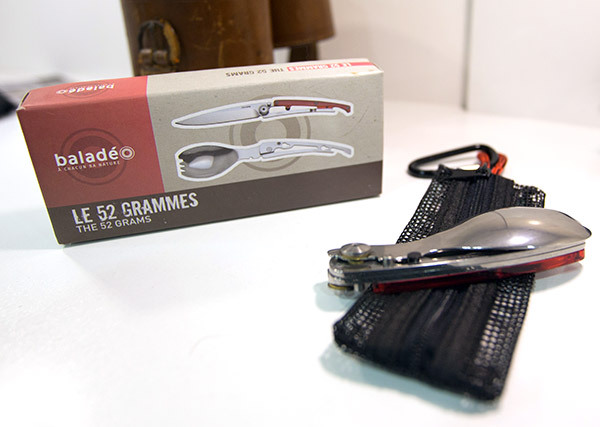 Also impressive, here’s the Cutlery Set that is a mere 52g - five functions: spoon, fork, knife, can opener, bottle opener.